New Delhi: Whether you are using drones for your picture-perfect Instagram posts or for clicking unforgettable wedding photographs or just for fun, the use of drones will be under government regulation from December 1. So far the civilian use of drones was unregulated in India but now you will have to follow a set of new rules and regulations issued by the civil aviation ministry under which you may even be required to take a licence and get your drone registered with the government. 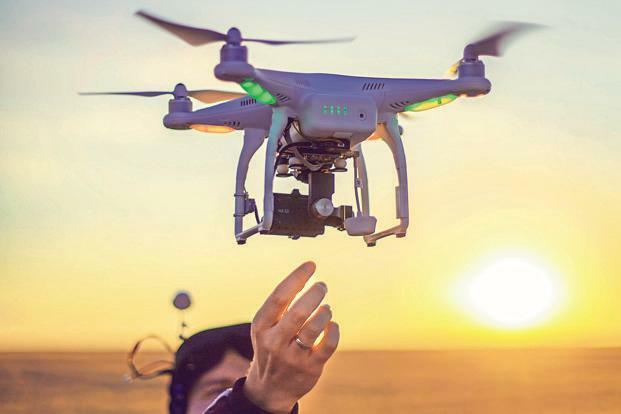 The new set of regulations was announced in August and will come into force from December 1 when the Directorate General of Civil Aviation (DGCA) will launch a new Digital Sky Platform on its website for granting permission for civil use of drones. Any violation of the rules may attract penal action, including penalties. All drone operations will now be restricted to daylight and within visual line of sight. However, if you are shooting in well-lit enclosed premises, using a micro drone up to 200 feet above ground is allowed. The DGCA has released a detailed guide, FAQs and a list of do’s and don’ts for flying drones in India. According to these rules, drones have been divided into 5 categories based on their weight, including payload. 1. Nano drone: Remotely piloted aircraft system weighing less than or equal to 250 grams are exempted from obtaining a UIN (Unique Identification Number) and Unmanned Aircraft Operator Permit (UAOP) from DGCA. For all drones weighing above this a UIN is required to be obtained from the DGCA’s Digital Sky Platform. However, you cannot fly any nano drone 50 feet above ground. Also if you are flying a nano drone in a controlled airspace (where Air Traffic Control or ATC services are provided) you will have to apply for UIN and UAOP both. To get a UIN from the DGCA, you will have to pay a fee of Rs 1,000 while for UAOP the cost is Rs 25,000. UAOP is however valid only till 5 years, after which you can renew the permit by paying Rs 10,000. 2. Micro drone: If your drone is heavier than 250 grams and less than or equal to 2 kg then it falls in the category of micro drones. Getting a UIN is a must but UAOP is needed only when it is being flown above 200 feet. You are required to intimate local police station at least 24 hours before flying. 3. Small drone: Those weighing more than 2 kg and up to 25 kg require both UIN and UAOP. It can be particularly useful for agriculture purposes. However, for spraying pesticides you need another round of clearance. 4. Medium drone: Drones weighing greater than 25 kg and less than or equal to 150 kg are most likely meant for industrial/agriculture use. These machines can help in aerial surveys for data collection in industries such as power, mining, realty, oil and gas exploration, railways and highways. 5. Large drones: Those greater than 150 kg are also meant for industrial use.